Nothing can replace the sweet love that comes from a grandparent. Kids need unconditional love to help them overcome life's difficulties. Time is priceless, and your grandkids will thrive because of your willingness to snuggle with them or make their favorite pie. Today, kids face so many challenges in school: confusion about morals, gender identity, and bullying. Many are being left to care for themselves after school because both parents are working or they live in a single parent home. Homework demands are high in many schools. More kids are doing drugs, joining gangs, and even committing suicide. They need support, acceptance, and someone to trust. That someone could be you! No matter how big or small their problems are or how bad their day was, they need to feel loved and cared about. Here are six ways you can brighten your grandkid's bad day at school. The unique love of a puppy can be exactly what your grandkid needs after a long day of maybe feeling rejected by peers. It’s sad how kids can be friendly one minute and then act like strangers the next. Dogs don’t do this. They are full of unconditional love, always happy to see you, and can’t wait to play or go for a walk. They don’t care if you smell bad or what brand your jeans are. They don’t care how new your shoes are, they just want to have fun. Cute little wagging tails and puppy kisses are sure to bring a smile to a sad face. If you have your own dog or know someone who does, you could visit the park and play ball. Bring a bag of treats for your furry friends and some yummy goodies for you and your grandkid. A good story helps a tired soul come alive! Especially after a draining day with possibly rude or rowdy students who don’t like their substitute teacher. Your exhausted grandkid needs an escape after a hard day. You can provide this by reading to them. Warm up something hot to drink for the two of you and get lost in an adventure. Sometimes, kids need to just forget about their rough day and move on to something better. Consider reading them the classics: Charlotte’s Web, The Adventures of Huckleberry Finn, or The Adventures of Tom Sawyer. Books in a series like Little House on the Prairie and The Chronicles of Narnia are a long-lasting treat. Wonderful smells from a grandparent’s kitchen can soothe hurt feelings or a bad breakup that happened at school. A delicious taste from a mixing bowl will surely calm a frustrated grandchild who has to work on a do-over for an assignment they have already spent hours on. A warm muffin fresh from the oven will fill an empty tummy and help a tired student regain energy. You can invite your grandchild into your kitchen, slip on an apron, put on a baker’s hat, and bake your “world-famous” cookies together. To help get your grandchild’s mind off of a horrible, no good day, you can have them look through your recipes with you and pick out something for you to teach them to make. Cake decorating is delightful and stimulates creativity. Make sure to take pictures of their creative work in the kitchen for scrapbooking memories: kids love to see themselves in action. Be your grandkid’s tutor if needed. Some kids are stressed out because they are behind in school and need extra help getting through assignments. 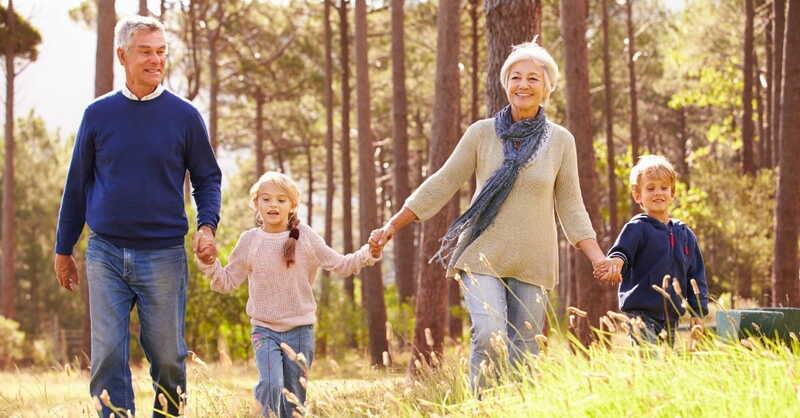 You can help your grandchild improve by helping them practice certain skills. Maybe your grandchild is bored in school and needs more challenges. It can be a bad day when the brain isn’t stimulated. Set up a table with fascinating history books, science experiments, or educational literature with special topics of interest. If your grandchild is a hands-on learner who likes to make things or is crazy about crafts, offer materials for sewing or painting. Teachers’ expectations often create tension and anxiety in kids, causing them to act out. They get burned out quickly when teachers don’t see the need for breaks, rest, or fun. Getting in trouble for being lazy or too restless creates yucky feelings about the day that they might carry home with them. A bad mood is often an indication that they are tired, frustrated, and sometimes angry. Help them relax by experiencing a little bit of heaven on earth in nature: the sounds of dancing leaves in the trees, a bird singing a joyful song, and squirrels swishing their bushy tails. It’s in God’s creation that we discover miracles like caterpillars becoming butterflies and apples growing in a tree. All these things can help turn a horrible day into a joyful one. Kids need to feel heard after a rough day at school. Sometimes they want to talk, but sometimes they don’t. Let them share what they want to when they want to. Your grandchild may ask for advice or want to hear stories about you and what you’ve done in similar situations. Kids need help to transform their worries into solutions. Help your grandchild see how their present challenges will help them in the future. You can also teach them to surrender their disappointments, irritations, and fears to the Lord. Pray with them or help them find a Scripture that speaks to their struggle. Encourage them to keep a “prayer jar” where they can put their prayer requests. You can even share your “prayer journal” of things you have asked the Lord about and how He has answered you. Maybe have them create a “thankful box” also to remind them how great their God is and how much they already have because of His blessings. A thankful heart can make a bad day brighter. Kids need hope, and both activities will facilitate that. Kids need spiritual leaders to coach and mentor them. You can lead them in the ways of the Lord and encourage them with the hope that they have in Him. Kids need to know that their heavenly Father sees every bad moment in their school day and that He cares. Knowing that God cares is the ultimate encouragement. You being like Jesus and demonstrating God's truth through your actions and words will help your grandchildren discover the freedom they have in God’s promises. Lisa Brown is an aspiring writer and owner of The Family Roadmap Blog and a Parent Coach at the National Center Of Biblical Parenting. She has a 10-year-old son, an 8-year-old daughter, and has been married to her husband for 12 years. Prior to marriage, she worked over 20 years enriching the lives of hundreds of children and families. Lisa has a bachelor’s in social work and early childhood education. To meet with Lisa about a parent concern or if you would like for Lisa to write an article or blog post, you can contact Lisa here.